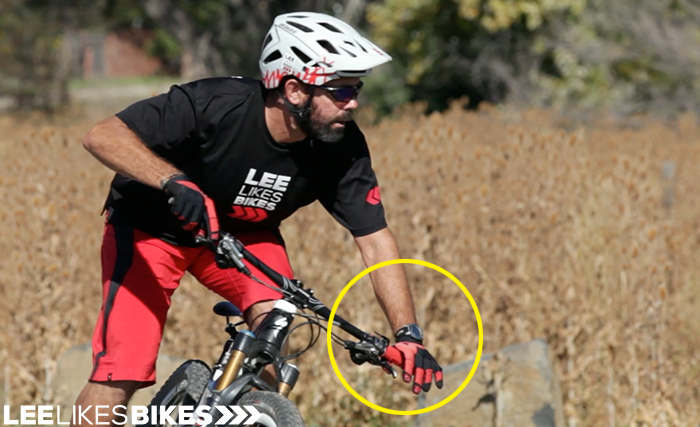 The Rider Area Distance, RAD, is the most important measurement for your bike to shred. It optimizes the distance between your feet and your hands for the best range of motion while pumping trails, carving corners, lofting over roots and rocks, and descending with stability and confidence. We can help you choose the best frame size to get the perfect RAD for you. The next most important measurement is RAAD, Rider Area Angle in Degrees. This angle depends on the type of riding you are doing. The angle is bigger for DH and smaller for XC. Let us know your riding style and we will help dial your bike in perfectly. We want to make sure that you have plenty of standover clearance on your bike. This is based on your inseam length. We design our bikes to have lot's of standover clearance so that we can focus on getting your RAD and RAAD perfect. Last but not least, we use your inseam length to dial in your optimal seat height for pedaling. All Lenz bikes are designed to work with internally routed dropper posts, so you can drop your seat for everything but plain old pedaling. We have been designing bikes around this concept since 1995. Devin Lenz grew up racing and riding BMX bikes, then he moved on to Mountain Bikes. He knew the importance of bike geometry and the relationship of feet and handlebars for ultimate riding. Now Lee has put this information into an easy-to-follow formula for us to figure out exactly what size frame, stem, cranks, and handlebars work best for each rider. At Lenz Sport, we have somewhat unique bike geometry as compared to other brands. Here is some information on our geometry and why we believe it’s best. Compact frame: There is a major trend for super long bikes, and we believe that is counter to a good cockpit set up. If your bike is too long, you will not be able to get your RAD (rider area distance) short enough, and you will not be able to ride aggressively. We build our bikes to be compact and easy to get handlebars the right distance from your pedals for ultimate trail mobility and shredding. We build our frames with lots of standover clearance so that you can easily size up or down based on proper cockpit dimensions for your own body. Don’t be stuck on the labeled size, go off of the actual measurements. Short Chainstays: Short chain stays are at the heart of our frame geometry. We boast some of the shortest chain stays on any bike on the market, which helps our bikes loft easily over obstacles, manual through rock gardens, and get clean jumps off of drops without feeling like the front end is trying to drop out below you. The short chain stays also help keep the wheelbase shorter for ultimate maneuverability through technical terrain. Steep Seat Angle: Steep seat angles are great for climbing, and when combined with the short chain stays, makes a long travel bike a killer climber. Slack Head Angle: We avoid steep head angles on our bikes, but we also don’t go crazy slack except on the downhill bikes. 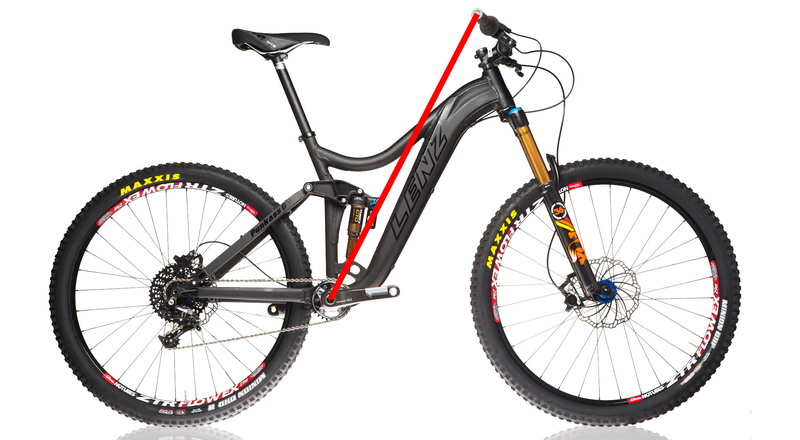 We want the bike to handle well on climbs and descents, so a 66 to 68 degree head angle is perfect for a trail bike. Much slacker than that and the bike will not climb well, and the wheel base will get so long you can’t maneuver very well. Wheel Size: We believe everything on the bike should be proportional to the rider and riding style. That is why we offer all bikes in all wheel sizes, including the newer plus size tires, which roll fast and effortless over rough terrain. 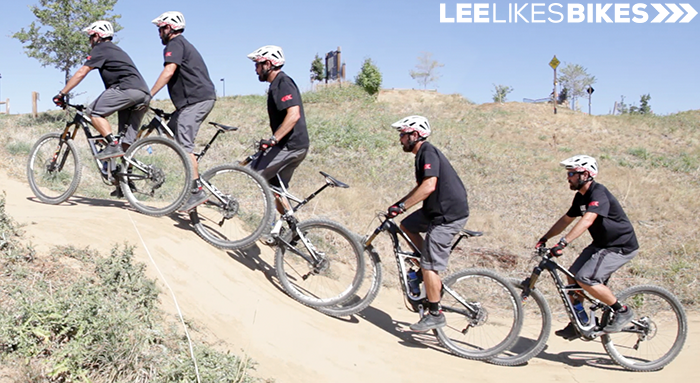 The RideLogic Bike Setup System evolved with the Lee Likes Bikes Teaching Method, which is the world’s simplest, most powerful and most scalable mountain bike and BMX curriculum. Over the past decade and a half, Lee has taught riding skills to thousands of riders of all styles and levels ( from road to cyclocross to BMX to cross county to enduro to downhill; beginner to expert to world champion), and he’s learned a ton about the ways bodies, bikes and trails interact. There comes a point when you can’t optimize technical riding skills without optimizing rider movement, and you can’t optimize rider movement without first optimizing bike setup. Most bike fits are based on traditional road wisdom and a static riding position. They don’t consider the needs of riders who brake hard, carve corners, pump rocks, boost jumps and basically have more fun on their bikes. Those of us who like to shred — gravity racers, BMXers and modern trail riders — have always known shorter stems and taller bars tend help us handle our bikes better, but there was never any precise method to estimate out how short and how tall. The RideLogic™ Bike Setup Method brings logic to the process of setting up your bike for Riding (active Riding with capital R, as opposed to passive riding with a lowercase r). RideLogic™ focuses on universal human movements (not just things you do on the bike). It unites the principles of biomechanics, kung fu riding technique and bicycle dynamics. Click here to visit Lee’s website and sign up to gain full access to the instructions for dialing in your cockpit and choosing the right frame size. measurement for your bike to shred. It optimizes the distance between your feet and your hands for the best range of motion while pumping trails, carving corners, lofting over roots and rocks, and descending with stability and confidence. We can help you choose the best frame size to get the perfect RAD for you. Torque is the key to sprinting, hopping, manualing, jumping and other power moves. This comes from having the correct distance between the feet and the hands. If your bike is too long, you will be pulling torque from your weaker arm muscles instead of your stronger core and glute muscles. measurement for your bike to shred. It optimizes the distance between your feet and your hands for the best range of motion while pumping trails, carving corners, lofting over roots and rocks, and descending with stability and confidence. It allows maximum torque when getting up steep inclines, climbing ledges, powering off the starting line, and more. We can help you choose the best frame size to get the perfect RAD for you. The next most important measurement is RAAD, Rider Area Angle in Degrees. This angle depends on the type of riding you are doing. Once we figure out the RAD measurement, we adjust the Rider Area Angle to suit your riding style. We do this by adjusting the reach and rise of the stem and handlebar. So if you are an XC racer, the RAAD will be much lower than if you are a DH rider. For most of us trail riders, we will fall somewhere in between. Let us know your riding style and we will help dial your bike in perfectly. Handlebars are getting wider, but is that actually better? We feel that handlebar width should be proportional to your size, specifically your shoulder width. That is why we have shoulder width as part of the measurements form. 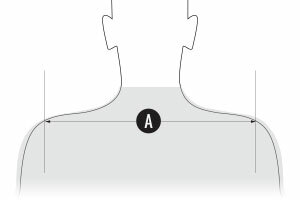 If you are of average proportions, we can figure out a good bar width based on your height, but if you want to get more exact, measure your shoulders. More accurately called your “biacromial width.” We are looking for the distance between the ends of your shoulder bones. Last but not least, we use your inseam length to make sure you have ample standover clearance and to dial in your optimal seat height for pedaling. All Lenz bikes are designed to work with internally routed dropper posts, so you can drop your seat for everything but plain old pedaling. We use standard methods to calculate seat height since that is not affected by the other more important dimensions. This is a link from Lee Likes Bikes’ blog about the new long and low geometry theories. Lee presents some sound arguments for this trend, and we agree with Lee on this one. This is a link to a blog post from Lee Likes Bikes about sizing down. The RAD measurement is the most important measurement, so before a new bike, it’s important to dial in those measurements to make sure the bike is not too long or too short.